Cooking is a favorite activity in many life skills and severe special needs classrooms. Here are some links to websites with picture recipes. Some of us at the TLWMSN Ning have been discussing the best way to share adaptations, ideas and extensions of Unique Curriculum materials for learners with severe special needs. Should we use the Ning? A new Unique Curriculum Ning? A wiki? Adapted Learning? A Google or Yahoo Group? Something else? What do you thing? You can comment here on this post or log onto the Ning. People In Society I Live in a Community Communities Near and Far It's a Big World Who are the People In the USA? You are going to want to give yourself plenty of time to explore the PISP website because it is chock full of rich resources. For example, any one section of the Training and Inservice pages you will find dozens of amazing PDF files that will offer you valuable information or allow you to better teach a trainings for others. 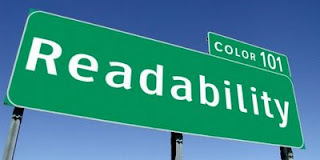 Topics range from IEPS to assesment to AT to vision and more. Similarly there are learning modules which can direct your professional development process. There are instructions to create all sorts of participation kits to inhance meaningful inclusion and a thorough FAQS section about many different areas of intensive special education from freeding to behavior and there are some instructional videos about these topics as well. 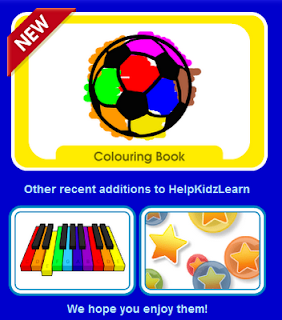 Help Kidz Learn has added three new activities. 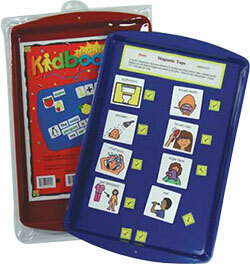 The first is a mouse, mouse emulator, touch screen or interactive white board accessible coloring book. Next there is a mouse, mouse emulator, touch screen, interactive white board or switch accessible bubble popping game. Finally there is a mouse, mouse emulator, touch screen or interactive white board accessible piano. These hip bracelets are for sale at Shanalogic. They hold four photos or for our purposes picture symbols. They come in these glitter styles, blue, green, crean or black with embelishments, green or blue with a bold accent, and a very masculine black or brown studded style.They could be a very stylish and cool way to bring some low tech communication or visual support to our students. They could be worn by teachers, aides, parents or students themselves. See also Fabulous Freebies and OATS Soft for more free AT. If I missed something let me know and I will update the list. I keep a pretty careful list of every picture I import to Boardmaker from the web and every time I need to "creatively re-purpose" a symbol (i.e. life jacket for body jacket) and when it gets long I submit it to Request a Symbol at the Mayer-Johnson website. A few months ago I submitted the list below and was thrilled with the symbols I received. My new symbols pretty much fall into three categories this time: medical, vocational and sensory. I also like knowing that these symbols will probably be in the next addendum for everyone. I have been using the Unique Learning Systems (free) Summer Curriculum with my life skills middle school class and we have been enjoying it immensely. I love the automatic differentiation of materials (although convincing students who can write to do so when others are cutting and pasting their answers proved to be a bit of a stumbling block at first). The students like the topics and the extension opportunities that have been created just for them. I do have some worries about using the curriculum this coming school year with students who have more significant disabilities. Quite a bit of adaptation is still going to need to be done, inspite of the different levels of the curriculum. 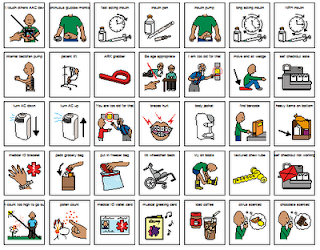 Some of these adaptations will need to be done no matter what curriculum is used, such as finding or creating object symbols, adapting materials for learners with low vision and using adaptive tools (i.e. switch scissors) to finish the work. 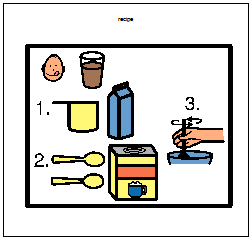 Some of the curriculum will never work for learners with severe physical challenges for example most of cooking activties contain ingredients which are swallowing hazards. 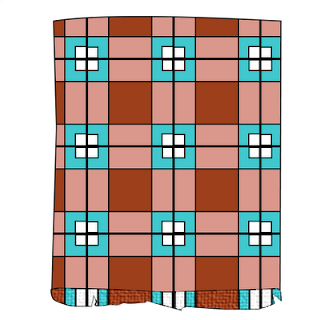 However, hopefully as more people begin using Unique they will share customized materials on Adapted Learning and other sharing sites. One tip I have is to use the Firefox extension Down Them All to download the PDF files in the curriculum. Down Them All allows you to check off all the PDF and then have them all download at once, saving quite a bit of time. Hopefully Unique will at some point allow us to download entire units at a time, but until then Down Them All is a good solution. Are you using the Unique Learning System curriculum this summer or next school year? There is now a group at Adapted Learning (the free Boardmaker sharing community) to share materials and have discussions about implementing Unique. Log into Adapted Learning and the go to the Unique Group and join in with us! Switch Adaptable Online Spinner, Calculator and More! 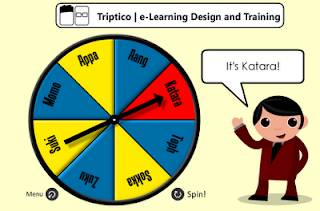 Tripico a site that designs e-Learning content has an eight section spinner or a four section spinner that can be run by a switch set to mouse click when the pointer is over the spin button. You can put any text you wish in the eight sections, if you have less than eight things to spin for you can put in "spin again", "lose a turn", or you can duplicate some items. Should be super fun with an LCD Projector on a "Big Screen" or on a SMART Board. 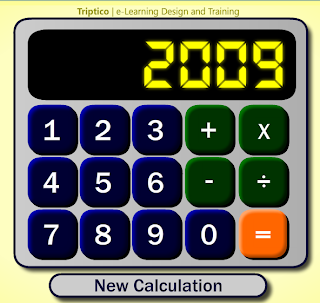 Also completely there is an amazing calculator that works using switches set to tab and enter to enter what you need to solve your math program. Imagine a FREE, ONLINE accessible, scanning calculator! Of course it also works with a mouse, touch screen or on a SMART Board. Although Velcro is our most frequent way of storing and arranging symbols for communication in our classrooms there are some benefits to thinking outside the box and turning to magnet symbols among them that using magnets generally won't ruin as many pairs of scissors, with magnets you don't need to remember the "soft stays" Velcro rule to avoid having incompatible sets, and the fact that most of use have metal desks, magnetic dry erase boards and/or other metal furniture in out classroom we cab turn into "word walls" using magnets symbols. Last year I kept magnetic picture symbols for eat, drink and the most common items we had in our classroom mini-fridge attached to the door and was thrilled to see one of my students take to that system without any training. Labels: communication magnets, learning magnets, mag, magnetic notebooks, magnets. The end of this school year I left my job of the past eight years for a summer of working 12 hours a week instead of 40 and a new position in a new agency. Sadly, because of political circumstances at my old job I was forced to leave behind the collection of materials a teacher gathers over the course of more than a decade. From a box of bulletin board borders, Boppy Pillows, drawers and drawers of files and a hand adapted globe for the blind to a huge bin eBay assisitve technology purchases I made (because I love to disassemble and reassemble old devices - yeah, call me a geek) I left it and so much more behind. And yes, because I was asked by a reader, all 17 of my Donors Choose grants were left behind as well. As much as I am grieving leaving my students and my friends I am also grieving leaving behind the memories in the things I left behind. There were files of bulletin boards I made as a resident advisor in college and re-used periodically in my classroom. There was work samples of former students. There were non-discarded communication boards and books I labored on for days and always imagined some other student might use. Yet, I have decided this is to be a learning experience. I have already advised a graduate student finishing her degree to inital and scan onto a computer receipts for anything she buys out of pocket and then laminate the receipt and attach it to the item. That is my plan from now on as well. Though I have changed teaching jobs twice before this job change I have never had this issue before, but I certainly want to be ready if it happens again. I plan to purchase (again, since I left one behind) a Mini-Laminator and a Neat-Co Receipt Scanner. Here are directions to make your own. Feeling like you want to get back into the groove and excitement of teaching? 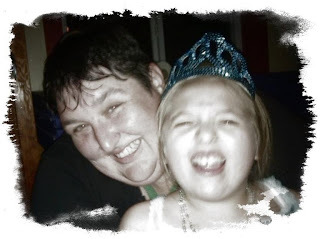 Feel like you want to connect and share ideas with other educators, specialists and folks who are committed to working in the strange and wonderful branch of special education known as intensive, severe or multiple special needs? Time to join (or come back to) the TLWMSN Ning! Terri Trotter, a special education teacher of learners with multiple special needs at Carbon Lehigh Intermediate District is the TLWMSN new administrator and is working hard to make our Ning a place we can all turn to share information ask, questions or tell a funny story. 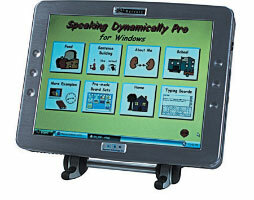 Tobii ATI has announced the retirement of the Mercury/Mini-Merc series of AAC devices. The Mercury/Mini-Merc has been phased out for the new Tobii ATI C-Series and Sono devices. A number of options exist to decrease visual clutter on websites, which in turn makes it much easier to use a text-to-speech reader to read the website to you or simply to view the site without distractions or to customize how the site is seen for easier reading.